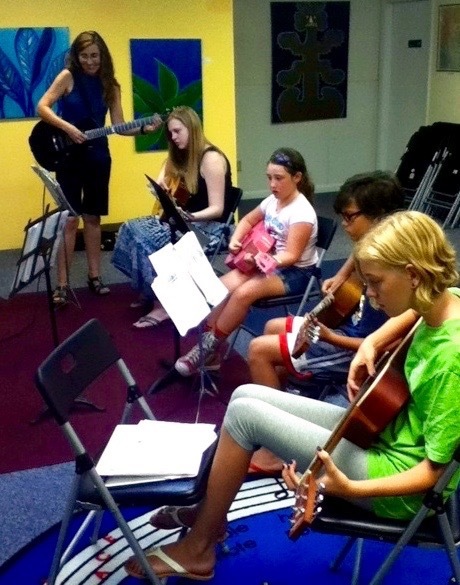 Beginning Piano & Guitar Camps! Learn the basics of playing the guitar, reading music notation, tablatureand simple chords in this camp. Students will explore how to compose and also work on crafts during the week. Students will need a guitar to participate, all other materials provided. 3rd through 5th grade. A fun week of piano exploration for those with no piano experience and those who have already had some piano lessons. Also included will be rhythm activities and musical crafts. Older PostJAM Summer Camps 2017!